Startup China, located in Beijing and Shanghai, is specialized in providing paid Internships in China and Chinese Study Abroad Programs to foreigners worldwide. 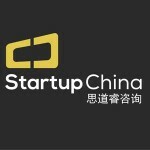 Established by a cluster of business industrials based in Beijing and Shanghai, Startup China has been formed as a reaction to the current financial boom and bountiful opportunity that has been sweeping the East. Working as a bridge between China and the foreign community, we are an established link that joins young professionals, University students & graduates to their specific field, collaborating with only high-end and trusted business enterprises.